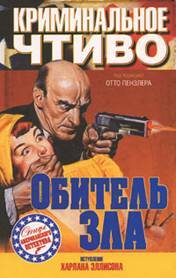 Big Omnibus (1-3) - The Black Lizard Big Book of Pulps. 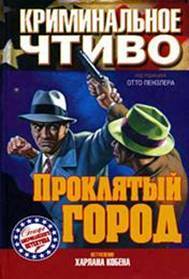 The Best Crime Stories from the Pulps During Their Golden Age - The '20s, '30s & '40s (edited by Otto Penzler) (Vintage/Black Lizard, 2007; 1168pp). М.: ООО "Издательство АСТ", СПб. : ООО "Астрель-СПб", 2008 г., 384 стр. Харлан Кобен. Предисловие (январь 2006). Отто Пензлер. Послесловие составителя (январь 2006, Нью-Йорк). Synopsis: Harlan Ellison introduces a collection of 16 taut and muscular tales starring some of fiction's hardest-boiled criminals, crooks, desperados and rogues. Anti-heroes to a man, these are the guys who can be guaranteed to outwit the cops, make off with the dough and get the girl. Just don't get in their way. Legendary writers you've already heard of like Dashiell Hammett, Erle Stanley Gardner, Cornell Woolrich and Raymond Chandler are here. Legendary writers that you should have heard of like Frederick Nebel, James M. Cain, Norbert Davis, Leslie Charteris, C. S. Montayne and Raoul Whitfield are also where they should be - with the greats. Tailor-made for pulp novices and hard-boiled fans with a soft spot for the masters, this collection shows that some writing has an edge that time just can't dull. Криминальное чтиво: Обитель зла. М.: ООО "Издательство АСТ", СПб. : ООО "Астрель-СПб", 2008 г., 480 стр. М.: ООО "Издательство АСТ", СПб. : ООО "Астрель-СПб", 2008 г., 416 стр. 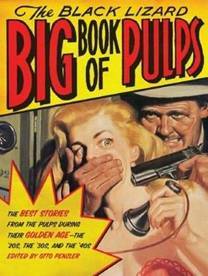 Synopsis: Wearing a low-cut dress or sweater - usually in tatters - and menaced by a group of muscular thugs or a single, scarred villain, the cliched cover girls of pulp fiction magazines stole the limelight from their rather more spirited sisters concealed within. 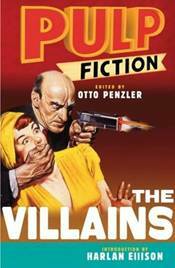 From the pens of writing legends like Dashiell Hammett, Cornell Woolrich and Raymond Chandler, stories of the greatest grand dames of the pulp genre have been gathered together in this unique volume. Its pages are rich with female jewel thieves of a certain elegance, feisty reporters in pursuit of an exclusive, gun molls with gangster boyfriends, avenging angels, tough broads and out-and-out hoodlums. 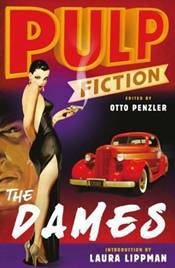 Tailor-made for pulp novices and hard-boiled fans with a soft spot for the masters, "Pulp Fiction: The Dames" shows that some writing has an edge that time just can't dull. From the Back Cover: Laura Lippman introduces 23 dames, femmes fatales, avenging angels, broads, molls and dolls from the Golden Age of pulp fiction and the dawn of modern crime writing. From Sally the Sleuth to The Girl Who Knew Too Much, these women knew how to steal a guy's heart - or his gun - and they weren't afraid to use their fists if their charms couldn't get them what they wanted. Risking their lives and ending others, these dames are certain to set your heart racing, whether you're a pulp novice or a hard-boiled fan. With stories from Raymond Chandler, Cornell Woolrich and Dashiell Hammett, and a strip cartoon from Adolphe Barreaux, Pulp Fiction: The Dames shows that some writing has an edge that time just can't dull. An unstoppable anthology of crime stories culled from Black Mask magazine the legendary publication that turned a pulp phenomenon into literary mainstream. Black Mask was the apotheosis of noir. 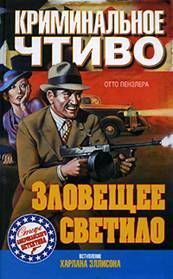 It was the magazine where the first hardboiled detective story, which was written by Carroll John Daly appeared. It was the slum in which such American literary titans like Dashiell Hammett and Raymond Chandler got their start, and it was the home of stories with titles like “Murder Is Bad Luck,” “Ten Carets of Lead,” and “Drop Dead Twice.” Collected here is best of the best, the hardest of the hardboiled, and the darkest of the dark of America’s finest crime fiction. This masterpiece collection represents a high watermark of America’s underbelly. Crime writing gets no better than this. * Dashiell Hammett’s The Maltese Falcon as it was originally published. * Lester Dent's Luck in print for the first time. (“Luck” is previously unpublished earlier draft of “Sail” from October 1936). Though this is not the first collection drawn from the pages of yesteryear's Black Mask magazine, Edgar Award-winning mystery editor, publisher, and bookstore owner Penzler declares that "it is the biggest and most comprehensive." He's not kidding! Launched by H.L. 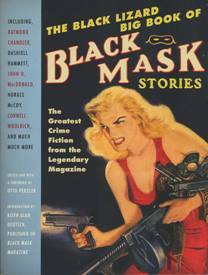 Mencken and George Jean Nathan in the 1920s, Black Mask would springboard the careers of a handful of writers, raising the level of penny dreadful pulp mysteries to that of literature, while also publishing plenty of quickly hacked-out swill. This gathers the cream produced by legends like Dashiell Hammett (the godfather of hard-boiled detective fiction), Erle Stanley Gardner, Raymond Chandler, Carroll John Daly, Cornell Woolrich, and other aces. There are more than 50 stories in all, including "The Maltese Falcon" (the original serialized version, which differs from the published novel, is reproduced here for the first time since its initial 1929 publication), Chandler's "Try the Girl" (which, ultimately, became Farewell, My Lovely), and Horace McCoy's "Dirty Work." Each author receives a brief bio and the stories sport original artwork—it's a complete education on vintage crime mysteries between two covers. VERDICT A hefty hunk of hard-boiled heaven and a noir lover's dream, this will thrill the genre's many fans. — Mike Rogers, Library Journal. 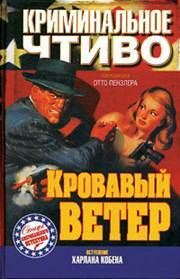 1-3) The Black Lizard Big Book of Pulps. 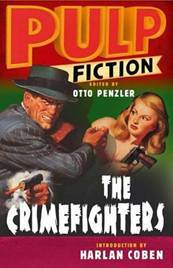 The Best Crime Stories from the Pulps During Their Golden Age - The '20s, '30s & '40s (edited by Otto Penzler) (Vintage/Black Lizard, 2007; 1168pp). Leslie T. White. The City of Hell!